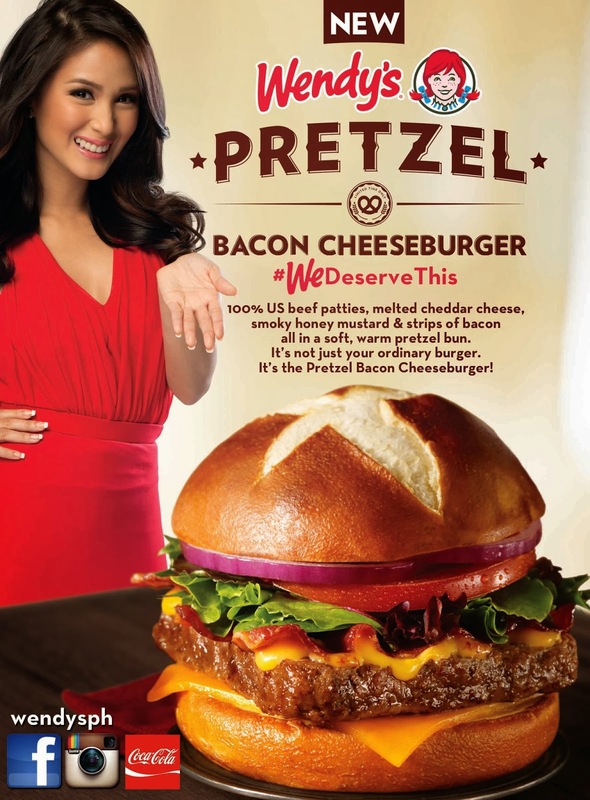 Wendy's definitely has a lot of tricks under their sleeve as they bring to their Philippine stores the popular and buzzed about Pretzel Bacon Cheeseburger! First, there was the Bacon Mushroom Melt that's a childhood favorite, then came the Baconator which was a personal favorite before. Now here comes another delicious twist, incorporating pretzel buns to their premium burger line (I really love their bacon burgers!) It was such a hit in the U.S., it was even named Burger of the Year for 2013 by Time Magazine (at least according to this site.) It was supposed to be a limited-time offer but was extended another season due to the manic buzz around it. So this year, Wendy's finally made the sought after product available for the burger-loving Pinoys! Sitting on a warm and delicious pretzel bun is a mouth-watering 100% U.S. beef patty complimented with juicy strips of bacon, melted cheddar cheese, smoky honey mustard, spring of greens and other premium ingredients. What burger lovers are raving about is the pretzel bun which sets it apart from ordinary burger buns. It gives you a nice, chewy crunch when you bite into it, without overpowering the flavors of the meat. A more modern and warm look with a cozy atmosphere compliment the new Wendy’s stores. Featuring the new Wendy’s logo with the signature pig-tailed redhead girl, the restaurants are lively, but warm and inviting. Lounge seatings are available for the customers plus Wi-Fi access. The menu can be clearly seen on LED boards. 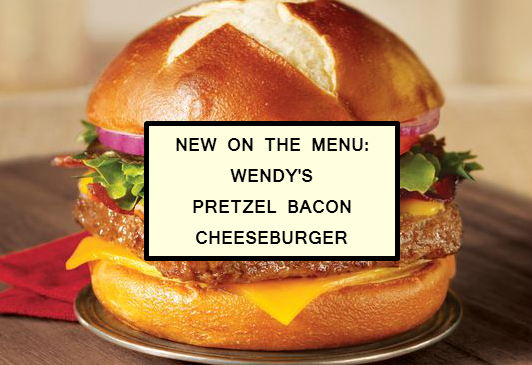 Aside from the new Pretzel Bacon Cheeseburger, Wendy’s is bringing its great tasting signature burger, the Baconator along with Bacon Mushroom Melt, Frosty, Fresh Iced Tea and Salad to more Filipinos all over the country. From quality food to quality service, Wendy’s is aggressively expanding in the Philippines this year with the opening of new stores at Starmall Alabang and Ayala Fairview Terraces on February. Last year, 9 new stores were opened at Ortigas, Pasig, Glorietta 3 in Makati, SM Jazz Mall, The Portal Greenfield District, S&R Shaw Boulevard, NAIA 3, Harbor Point Subic, SM Clark, and The District Dasmariñas.